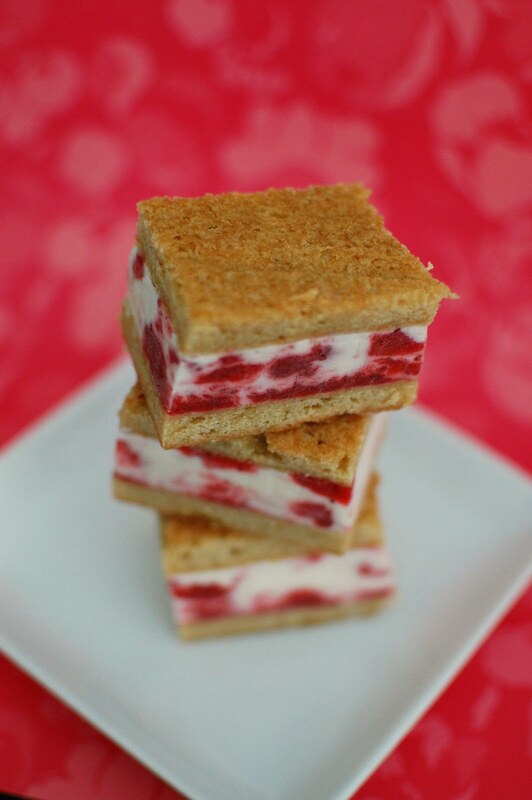 One of the things I knew I wanted to make with our freshly picked strawberries was these ice cream bars. I made them last year with a blueberry compote and lemon ice cream. 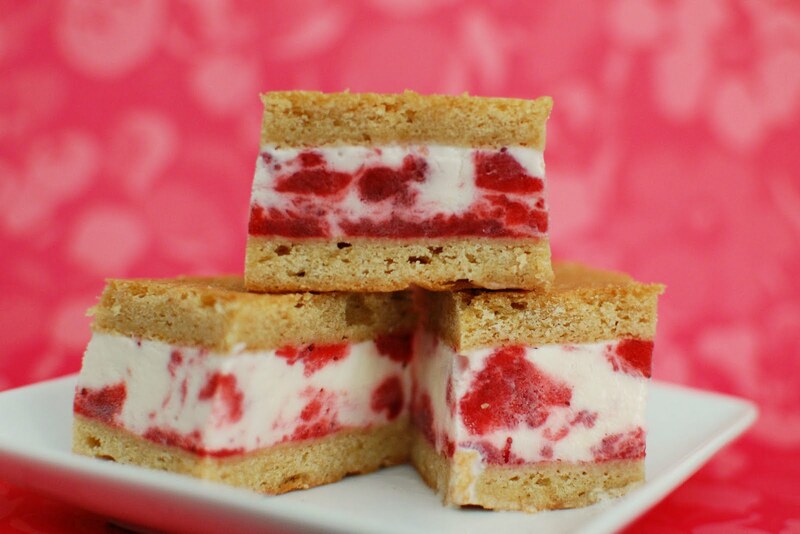 They were a big hit and I even mentioned at that time that I wanted to try them again with a strawberry compote and cheesecake ice cream. 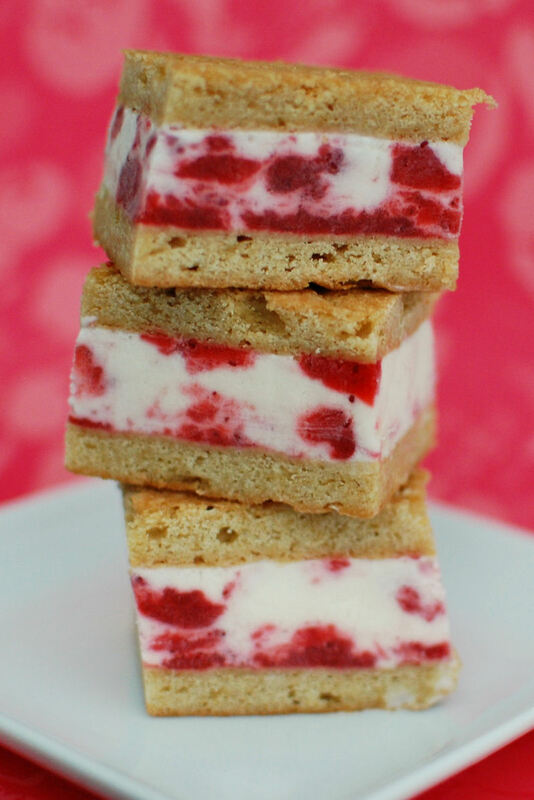 Now last year I was able to use dairy free ice cream and add lemon to it so I could eat these bars. This year though, I had a really hard time even finding cheesecake flavored ice cream. After searching a couple grocery stores, all I could find was brownie cheesecake ice cream and strawberry cheesecake ice cream. Both sounded amazing, but I really just wanted plain cheesecake flavored ice cream. I had seen it pop up in various food blogs so I knew it was possible. The bars from last year had a LOT of ice cream in them. They were actually pretty hard to eat because they were just too big to bite in to. So I knew I wanted to cut back the amount of ice cream. I ended up using about 1 1/2 pints of ice cream this time around and I think that’s a better ratio. Hubby had a bowl of ice cream by itself while I was assembling these bars and he said the ice cream by itself was “weird”. I gave him a dollop of the compote on top of his ice cream and he just said “Oh yea, that’ll be awesome”. Hubby was able to confirm what what we assumed about these guys. They are decadent and delicious. 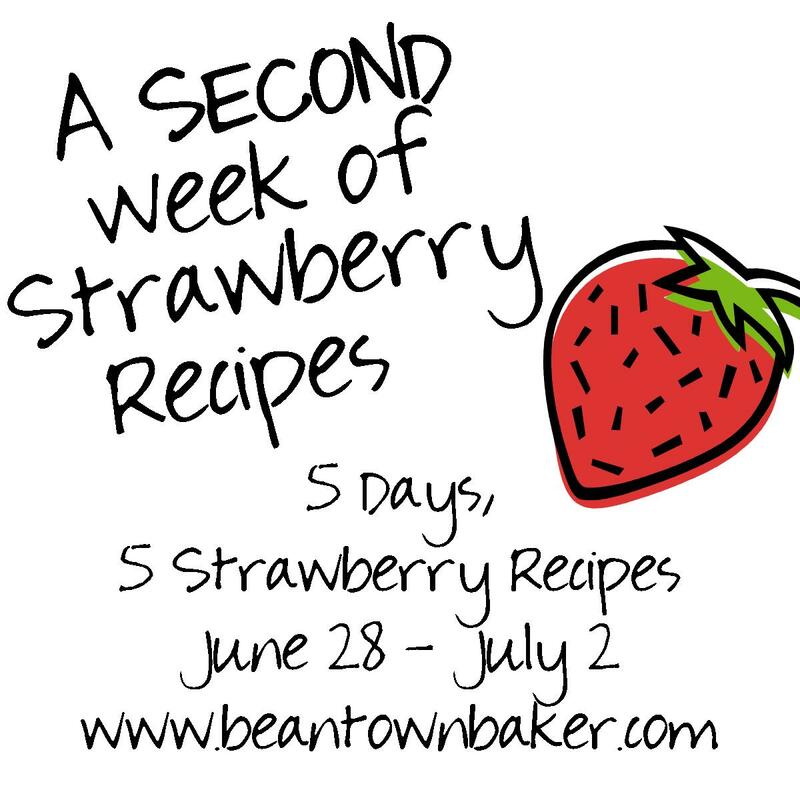 Cook strawberries and sugar in a 12-inch heavy skillet over medium-high heat, thoroughly crushing strawberries with a potato masher, until juices are released and sugar has dissolved, about 2 minutes. Stir together lemon juice and cornstarch, then stir into strawberry mixture. Boil, stirring, 1 minute (mixture will thicken). 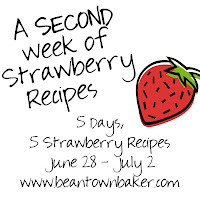 Transfer strawberry compote to a bowl and chill until cold, about 1 hour. Drop spoonfuls of the compote on the bottom cookie, then top with all of the ice cream, then add the rest of the compote on top of the ice cream. Use a knife to swirl the compote and ice cream together. 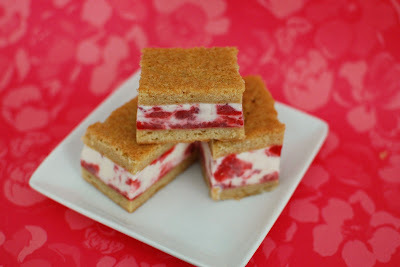 Invert second sandwich layer over ice cream, pressing gently to form an even sandwich. Wrap baking pan in plastic wrap and freeze until firm, at least 2 hours. Transfer sandwich to a cutting board using overhang. Trim edges if desired, then cut into 8 pieces. Can I use dried blue berries for the sauce. I haven’t tried this sauce with dried berries. I am not sure it would work very well without the addition of some liquid. Maybe some fruit juice? Just made this cheesecake for dinner guests. It was a big hit. I didn’t have any trouble with burning but the top came out spotted with brown instead of the lovely smooth top. No matter, I covered it with blueberry topping and no one cared. Oh, and… It didn’t crack but I left it in the oven until it was completely cooled. Thanks!! I looked at least 20 recipes and this was the best for simplicity of ingredients. And best of all it did not require a ton of sugar. I am not much of a cook however your easy to understand directions. And it was great.